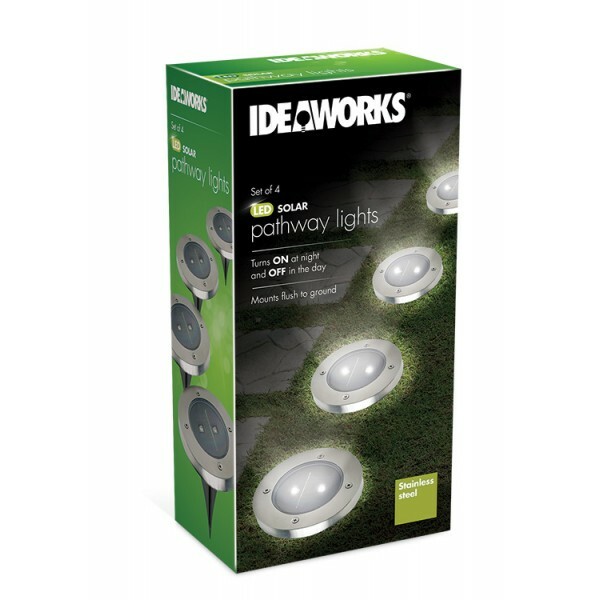 Show the way through your yard at night with this Set of 4 Solar Pathway Garden Lights. 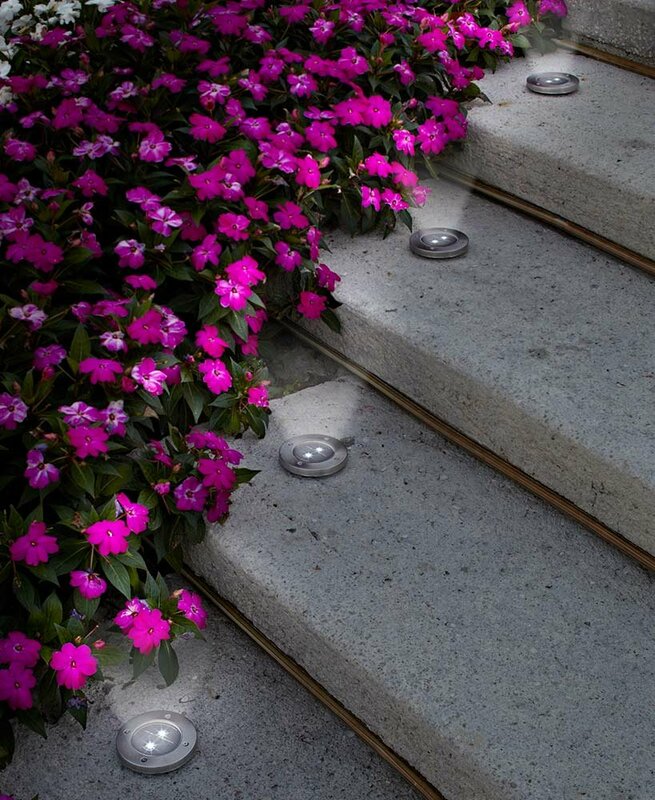 Each easily stakes into the ground and contains 2 bright LEDs. A stainless steel finish provides a versatile, sleek look. On/off button. 4-5/8" dia. x 5-1/4"H, including the 4-1/4" ground stake, each. Plastic and metal. Assembly required.